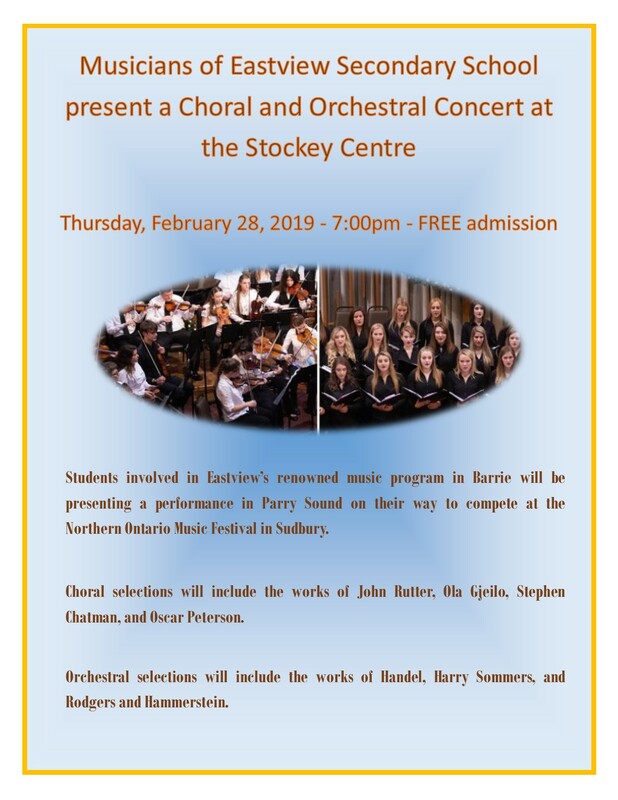 Music students of Barrie’s Eastview Secondary School will be presenting a choral and orchestral concert at the Stockey Centre on Thursday, February 28, 2019 at 7:00pm. Admission is free. The students involved in this renowned music program will be presenting this performance as part of their tour to compete in the Northern Ontario Music Festival in Sudbury. Choral selections will include the works of John Rutter, Ola Gjeilo, Stephen Chatman, and Oscar Peterson. Orchestral selections will include the works of Handel, Harry Sommers, and Rodgers and Hammerstein.